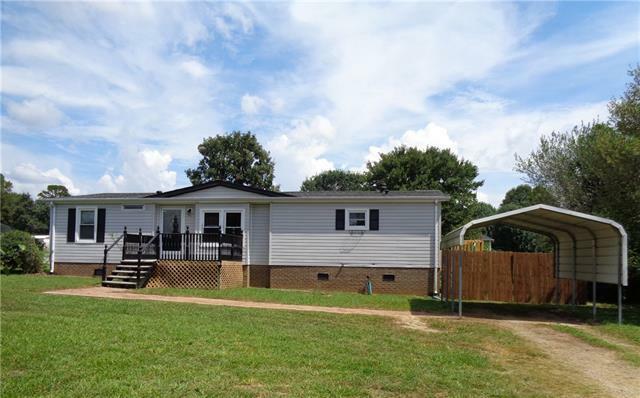 Double wide located in the country yet convenient to shopping, restaurants, I-40 & hwy 16. Home is on well, has storage building, det. carport, deck, alarm system & replacement windows. Fresh paint, cabinets updated, new counter tops, new lights, sink, range, some laminate flooring, new deck, new hand rail, carpet professionally cleaned & some doors replaced. Well water.